(Beyond Pesticides, February 1, 2019) Prior to a pesticide ban taking effect in Montgomery County Maryland Parks, the Department of Parks announced in mid-December 2018 that it would discontinue the use of glyphosate-based herbicides through March 2019. The agency has used these hazardous herbicides as part of its IPM (Integrated Pest Management) program for weed management. 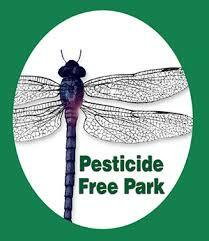 Montgomery Parks indicates it will release further information on the use of glyphosate in mid-March. In November last year, Montgomery County Council member Tom Hucker wrote to the head of Parks, supported by a community-wide petition, urging that glyphosate be banned immediately, pending implementation of the county ban. He cited the finding of the International Agency for Research on Cancer’s (World Health Organization) finding that the chemical probably causes cancer in humans and the $289 million jury verdict last year that the chemical caused a school groundskeeper’s non Hodgkin lymphoma. In 2016, Montgomery Parks instituted a pesticide reduction program in compliance with Montgomery County, Maryland’s 2015 adoption of County Code 33B, which aimed to regulate use of pesticides on county-owned property, including parks, and on private property. In 2017, a Montgomery Circuit Court overturned the portion of the law pertaining to a ban on private land, saying that it would “conflict with federal and Maryland state regulations that allow the use of the pesticides.” At the time, Montgomery County Council member George Leventhal registered his disappointment in Judge Terrence McGann’s ruling, saying that it “sets a worrisome precedent for the ability of local governments to protect their residents on vital issues of health and safety.” The council has appealed that ruling, and in June 2018, an amicus brief was filed by 10 organizations, including Beyond Pesticides, in support of the 2015 regulation. A number of localities (e.g., municipalities or counties) have ventured to regulate the use of pesticides (including fungicides and herbicides) on public or private property, or sometimes, both. Montgomery County 2015 ban limited allowable turf management pesticides (on public or private property within the county’s jurisdiction) to those permitted for use in organic production, or identified by the Environmental Protection Agency (EPA) as “minimum risk pesticides” under the Federal Insecticide, Fungicide and Rodenticide Act (FIFRA). Takoma Park, a city within Montgomery County, passed a similar ordinance in 2013, as did Ogunquit, Maine in 2014. South Portland, Maine followed Ogunquit by roughly a year, as did Portland, Maine (2018) in passing an ordinance quite like Montgomery County’s 2015 “public and private” ban. In September 2018, Miami Beach instituted a ban on any use of glyphosate-based herbicides by city employees and contractors in landscaping and maintenance work on all city-owned properties. Local governments have been constrained by “preemption” of their authority to restrict pesticides on private property by state law — even though these laws, similar to other local public health declarations, are protective of public health and safety. Even where states have not expressly preempted local jurisdictions, the pesticide industry and the chemical pest management industry and trade groups jump in to oppose and in some cases sue. Beyond the reach of the Supremacy Clause, states and other litigants can claim that state statutes necessarily preempt local ordinances. It’s worth noting that pressure from the chemical industry led many states to pass legislation to prohibit localities from adopting local pesticide ordinances (affecting the use of pesticides on private property) that are more restrictive than state policy. But localities have more latitude in regulation of public lands under their jurisdiction. In part for this reason, counties and municipalities have more often tended to create regulations that pertain to pesticide use on public, rather than private, property. In 1991, the U.S. Supreme Court (SCOTUS) upheld local governments’ authority to regulate pesticides in their jurisdictions under federal pesticide law. In the precedential Wisconsin Public Intervenor v. Mortier, the Court ruled that federal pesticide law does not prohibit, or preempt, local jurisdictions from restricting the use of pesticides more stringently than the federal government. That said, the case also resulted in the Court stating that states do have the authority to supersede local control. In the recent federal Farm Bill, which passed in December 2018, there had been alarming language that would have amended the federal pesticide law to prohibit local governments from restricting pesticide use on private property in their jurisdictions. Fortunately, that language did not make it into the final iteration of the bill, which became law, after dozens of local officials from across the country voiced their opposition. Nevertheless, both globally and in the U.S., efforts to ban or restrict the use of glyphosate are on a steep rise; see a report on such initiatives here, and an interactive map identifying municipal ordinances restricting pesticide use, assembled by Beyond Pesticides and the Environmental Working Group, here. Recently, a federal judge in Brazil ordered the suspension of glyphosate use until the government reevaluates the herbicide’s toxicity. A French Court has just canceled the license for, and instituted an immediately effective ban on, Roundup Pro 360, one of Bayer’s (Monsanto’s) glyphosate-based herbicides. Other efforts are ongoing in Washington State and California. In Hawaii — which is “ground zero” for chemical industry experimental testing of pesticides on cropland, enduring more of it than any other state — the state legislature fielded several bills to restrict pesticide use, including one that would regulate the use of glyphosate herbicides in land and road management. (Relatedly, Hawaii did institute a ban on the neurotoxic pesticide chlorpyrifos in May 2018.) Keep abreast of developments on initiatives related to glyphosate as Beyond Pesticides covers them in its Daily News. Beyond Pesticides encourages communities to work to eliminate local use of glyphosate herbicides, and to advance the transition to organic land management. For resources on taking such actions, see our factsheet on glyphosate/Roundup, our report, “Glyphosate/Roundup Exposed,” and our Lawns and Landscapes page. This entry was posted on Friday, February 1st, 2019 at 12:00 am	and is filed under Alternatives/Organics, Bayer, Children, Glyphosate, Lawns/Landscapes, Maryland, Monsanto, Preemption, Uncategorized. You can follow any responses to this entry through the RSS 2.0 feed. You can skip to the end and leave a response. Pinging is currently not allowed. We are working to get all local government units to ban glyphosate in particular, and include non organic herbicides and pesticides. It’s not hard. We do it here.